❀ 100% brand new and high quality. 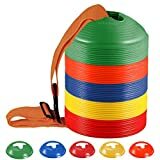 Health sport toy for kids. Go hand in hand with your friends,brothers and parents,enjoy your Parent-child time. ❀ How to Play: your hands forced to the middle of the ball,after the middle of the suction cup force into the shape like a UFO（flying discs）, then thrown out. (Please Note:To play in the spacious outdoor, to avoid accidental injury to others.) Warm Tips:Before you force the ball into a flying discs,use your finger to gently wipe the suction cup in middle of the ball, so it can keep the status of the flying discs a little longer, until you throw it out. ❀ We understand that the importance of the interaction between people on the mental health of children's growth,so we have fully take this into account in the process of designing and development of toys ,so that children can deep experience with their parents and friends of interaction and enhance emotional communication. 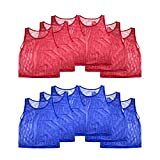 ▶❀ 100% brand new and high quality. 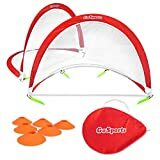 ▶❀ Health sport toy for kids. ▶❀ Go hand in hand with your friends,brothers and parents,enjoy your Parent-child time. 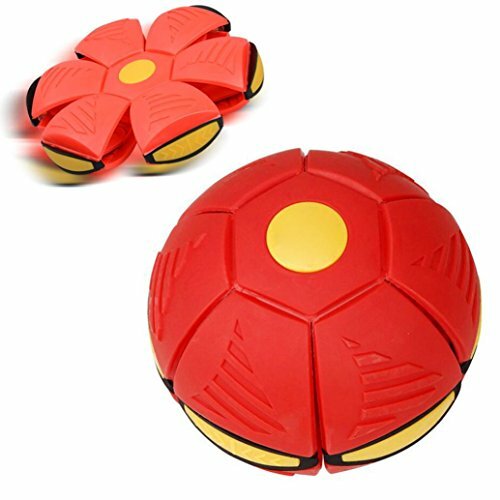 ▶❀ New UFO deformation ball, breaking the conventional ball games, play for fun and safe. ▶❀ Flying-discs shape throw,becomes spherical in the air. Hand gossip a frisbee,smooth the gossip frisbee throw it. ▶❀ Warm Tips:Before you force the ball into a flying discs,use your finger to gently wipe the suction cup in middle of the ball, so it can keep the status of the flying discs a little longer, until you throw it out. ▶❀ We understand that the importance of the interaction between people on the mental health of children's growth,so we have fully take this into account in the process of designing and development of toys ,so that children can deep experience with their parents and friends of interaction and enhance emotional communication.